Are these issues still relevant? Some links seem unfortunately non-working so it might be difficult to check each one..
Gotta try SGrab test at least.. I opened issues #16 and #17 that are still valid. Clarification (documentation) is required about the build (options, native build or using cross-compilation, used config file, ...). I don't know if anybody has done any OS4 work on SDL1 during the last 2 years. Btw, composition code autodetects somehow, and when it available uses, and when not not uses, or, i need to specify something like SDL_OS4_COMPOSITE on init stage ? As i see there is only initall 68k port commit, so currently no use for us. Btw, to add to Raziels's post, maybe (if you will have any time for), you can add that os4 iconify functionality about which i wrote in #9 ? Such functionality will be good to have and for SDL1 and for SDL2. Idea is just to have some sdl flag which we can call like SDL_AOS4_ICONIFY or whatever, and activate it with SDL_INIT() , which, when SDL app in the window mode, will attach iconify button, and when user will press on it call SDL_WM_Iconify function which will do all dirty work for us. Hmm.. Seems that I forgot to reply. Compositing fork checks graphics.library 53. Then it knows it can use CompositeTags. First problem with SDL1 is that for unknown reason it only allows HWSURFACEs in fullscreen mode. Should be fixed. Next problem is that many games and emulators don't really "blit". They "plot" pixels. At worst CPU is writing VRAM one pixel at time and then people say, "it's slow". Third problem is that almost all SDL games are statically linked - so much for quick tests & profits. But I believe I have now ranted enough about this. Once again, if your app is not blitting HWSURFACEs, then don't expect any speedups. Is it worth to post BZs about SDL1 issues ? 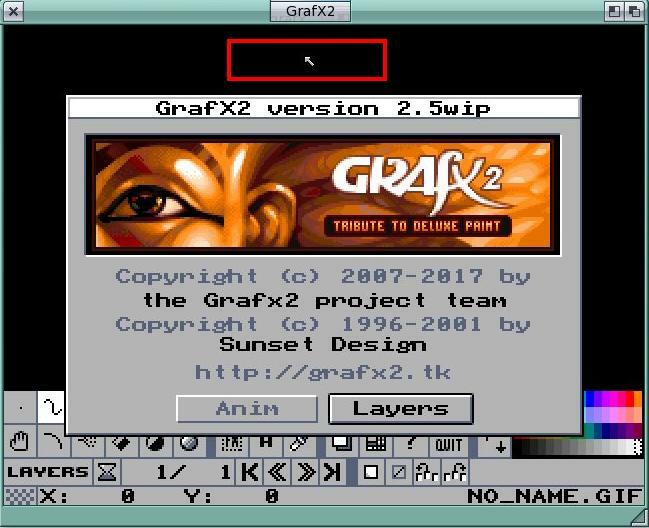 We may found issue with a bit distored mouse pointer in the grafx2. I.e. cursor fine till main area of programm not under amiga cursor, but once we move it over, then shiny cursor a bit distored. Like, maybe not full area clears, or something. Dunno, i remember such kind of problems like visually you see one thing, but on screenhot different, when PIP or compoiting was involved. I tryied to disable compositing: all same.. Its like didn't hide fully original amiga cursor, and it overwrite programm's cursor. Maybe it doesn't solve the issue but worth checking. Swap 1,1 on 8,8, and it kind of make it better, but still have distortion inside. Less that before, but still it here (and only when we make app active, once we move our cursor away, we can see how cursor placed to the bounds of window in the app, start to be non-distored and good looking, its only when amiga cursor over the program's window its distored). Tested win32 version btw, there is no such distortion with the same code..
Made some more experiments, and found that they specially did that 1 pixel transparent cursor. As they write before in comment, that is trick "Showingthe SDL 1 pixel transparent cursor allows us to get absolute mouse coordinates, this means we can use tablet in fullscreen mode." Once i comment out part with SDL_SetCursor(cur); and SDL_ShowCursor(SDL_ENABLE); , and keep SDL_ShowCursor(SDL_DISABLE); (so to hide sdl mouse cursor , and user internal one), then all start to works as should, no distortion, all is fine. What mean, imho, that something can be wrong with our SDL_SetCursor() and or SDL_ShowCursor() when it come to 1 pixel transpent one.. Please don't change height parameter. Code passes only one byte (8 bits of course) as cursor data. That's why 8 * 1 should be the correct dimension in this case, in my opinion. There could be more issues in the backend side but I didn't check it yet. It should be easy to make a test case that opens only a window and sets cursor, to simplify testing. Yep, trying only width as well, same. Anyway, done simple test case with main code as in grafx, and while test case can be wrong , it show kind of same distortion as we have in the grafx. By the way, do we still have to allocate from CHIP memory or? Nope, didn't help sadly. Distortion change it looks, but still garbage here. Retested for sake of be sure again on win32 , and build it on mingw32 for now, there is no cursor (1pixel-transparent as intendent) and no garbage. So probably its indeed our sdl.